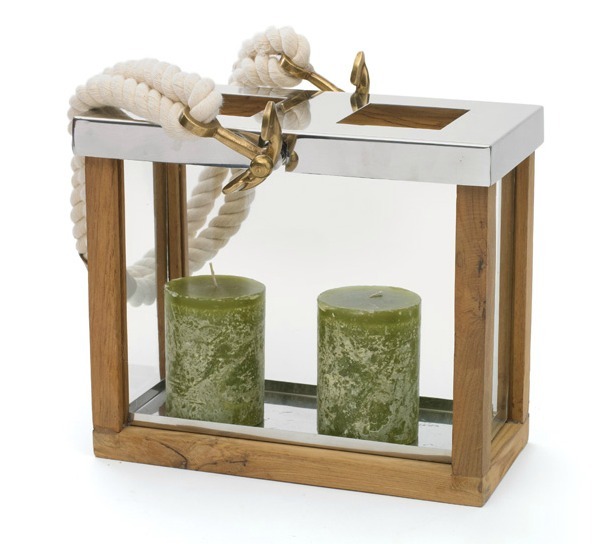 Everything Coastal....: Trend Alert: Design with Nautical Rope - Update! As promised in our February Rope Design Trend post, we have now added many of the items that we "spied" at the Las Vegas Market Show earlier this year! For even more rope-themed home decor check our site; just add "rope" in our handy search bar, and over 130 items will pop up! 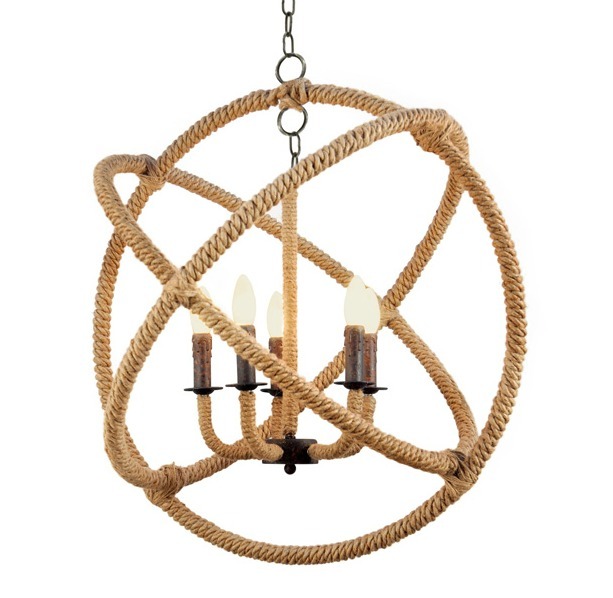 Wish I had a spot for this rope-wrapped Saturn Chandelier at our house! Rope 14" Buoy Lantern - great polished nickel details! This nautical lantern with the anchor details was one of my favorite finds at the market! Just imagine large white candles and a sprinkling of white sea shells around them inside this lantern.... I might have to keep one for myself. Very excited about this tall Burke Candle Holder in particular. I like the idea of being able to add your own sea glass, rocks or seashells in the hurricane underneath the pillar holder. Coastal candle accents like these are so versatile - simply change out the details to fit with the season! Keep your fingers crossed, it appears that HGTV Magazine will be featuring our fun rope wrapped hurricane in a later summer issue! We were contacted by the magazine last week, requesting additional information and two hurricanes for a photo shoot. Needless to say, I have more than just my fingers crossed!